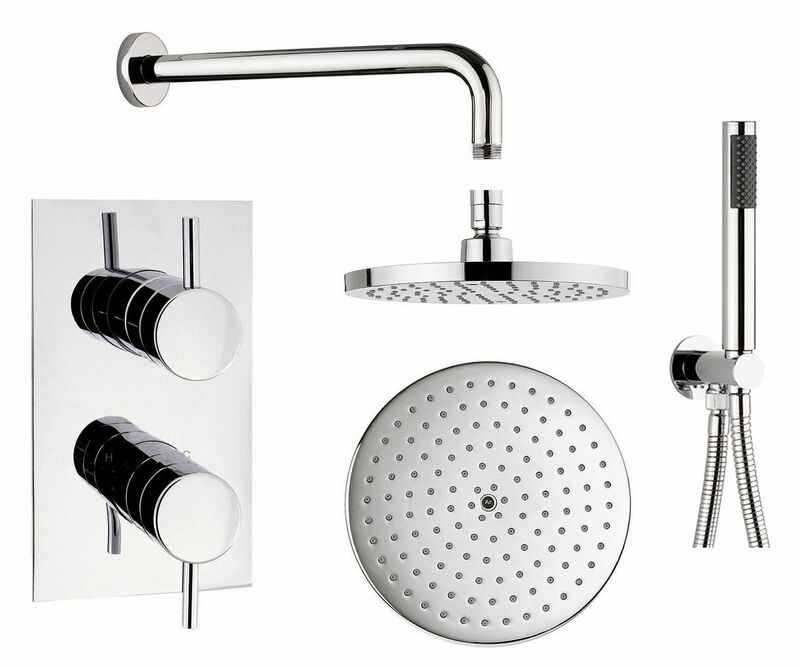 Providing a sleek and high fashion option for the contemporary shower enclosure, the Essential Recessed Shower Kit has all the credentials of top quality design. 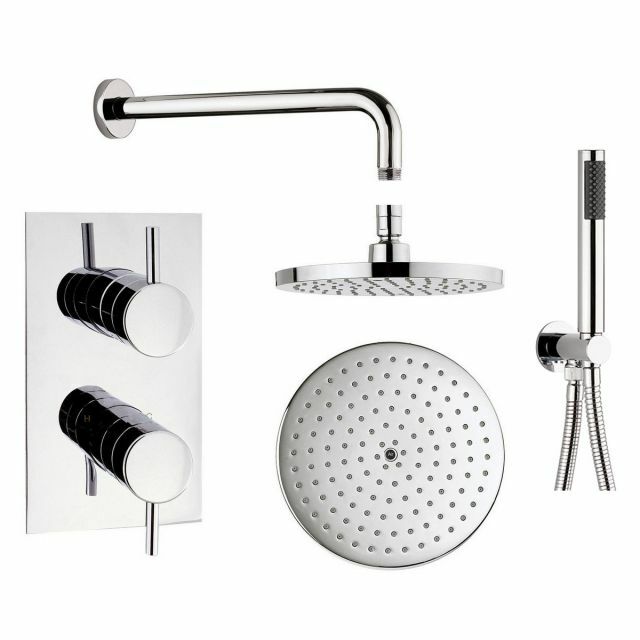 Consisting of a thermostatic control, overhead shower head and matching handset, this kit is presented in the modern, minimalist style for use within the cosmopolitan living space. Finished in gleaming chrome and styled in a simple yet ergonomic style, valves and outlets alike share a distinctive cylindrical design motif. 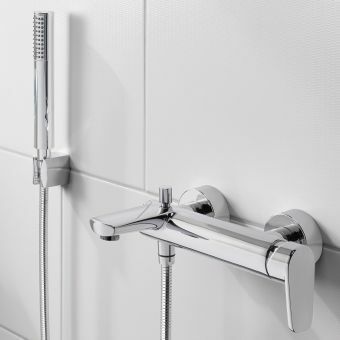 Separate temperature and pressure valve levers give full and intuitive control to create the perfectly balanced shower each time. 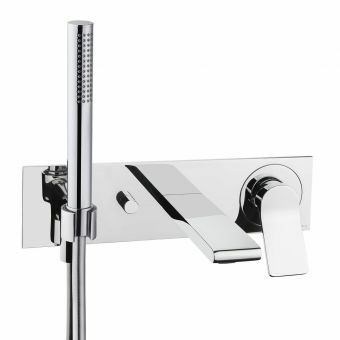 Attached to the wall, the overhead shower rose extends out on a right angles arm, reminiscent of the early twentieth-century European style. A generous length of flex gives full use of the handset for convenient rinsing, with the set fitting neatly into the palm of the hand. 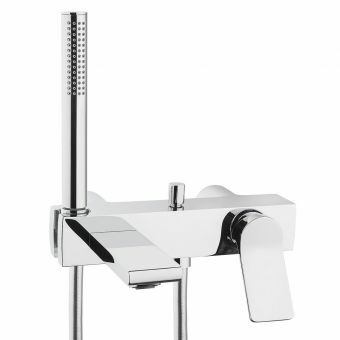 Please note this shower valve requires a minimum pressure of 1.0 bar (not suitable for low-pressure systems). 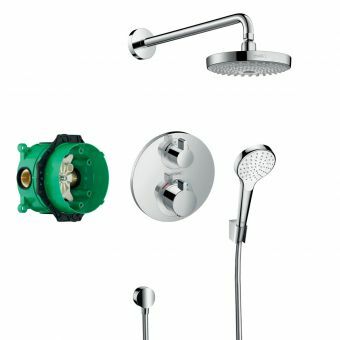 Comes complete with 200mm diameter Central shower head, 330mm curved arm and hand held shower attachment which includes the wall outlet, support, hose and shower head. 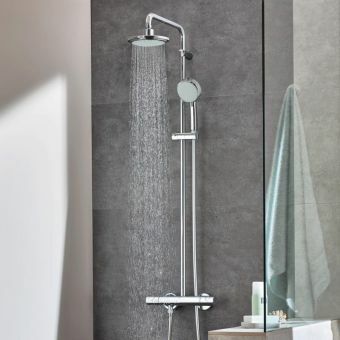 I looked at hundreds of showers and couldn't find anything I really liked until I saw this one. I ordered it and delivery was quick. It arrived very well packaged to ensure no damage and it looks fantastic when I took it out of the box. The quality is excellent as is the finish. 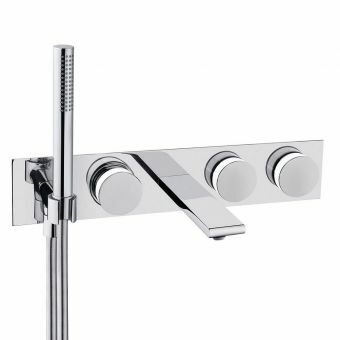 It's being fitted next week so I'm not sure of the performance but on quality of the product and prompt service from UK Bathrooms I can't rate highly enough. 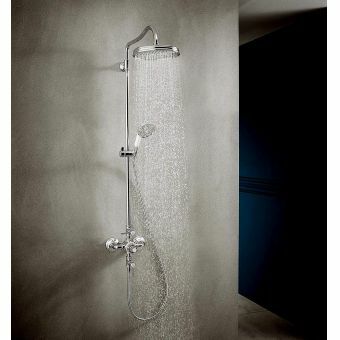 The product looks great and very solid, I am very pleased, sadly it is not plumbed in yet but really looking forward to my first shower!! Good quality however the product could have been improved with a cut out template to aid fitting. Shower only installed at customers last week so too early to comment regarding reliability. Fast, accurate and well packed delivery. Excellent products and value very good. Admin efficient and polite.